ODESSA, Ukraine -- Behind a barred metal gate, the dilapidated two-story building’s dreary hallways led to worn but neat playrooms decorated with dour socialist realist art and a few “SpongeBob SquarePants” appliqués. Maria Gaidar is the daughter of one of Russia’s most famous reformers, the first post-Soviet prime minister, Yegor Gaidar. Divided by age, groups of girls and boys up to 7 played in the heat, wearing only underpants. The older ones were excited to have unexpected visitors, and clamored to be picked up. Despite the sweltering heat and her towering Prada heels, Maria Gaidar acquiesced without breaking a sweat. She cocked an ear as one of her inspectors reported that, so far, they had counted only 39 children on-site, not the 50 claimed in the orphanage’s paperwork (the caretakers had promised to look for more children to count). Ms. Gaidar replied with a touch of sarcasm, referring to the institution’s official payroll numbers. 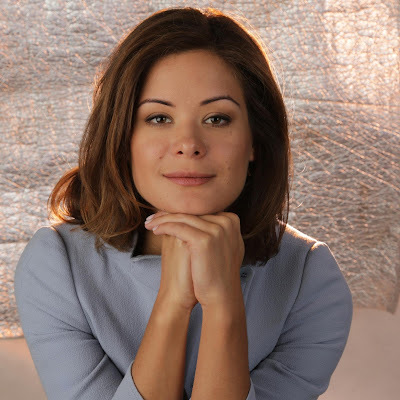 The daughter of one of Russia’s most famous reformers, the first post-Soviet prime minister, Yegor Gaidar, Ms. Gaidar is now the newly minted adviser to the regional governor on health and social issues in the Odessa region of Ukraine. She is one of several prominent outsiders who have descended on the area in hopes of transforming it into a showplace of Ukrainian democracy. Fraud-spotting inspections like this one, conducted with the help of volunteer experts, are part of Ms. Gaidar’s many plans to help her boss, the former president of Georgia Mikheil Saakashvili, in his fight against the rampant corruption that is one of this potentially volatile, largely Russian-speaking region’s Soviet-era legacies. Along the way, it is hoped, he will inspire residents leaning toward Moscow to switch their loyalties to Kiev. Things like an online listing of available kindergarten spots to eliminate the hefty bribes parents now pay, and keeping the electricity running in Soviet-era sanitariums housing disabled refugees from war-torn eastern Ukraine. But Ms. Gaidar’s work with Ukrainian orphans and electric companies is also part of a larger, anti-Kremlin message, one that has made waves back in her native Russia. “It puts a crack in the Putin ‘Russians support Russia’ message,” said Sergei Konoplyov, of Harvard’s Kennedy School. In Russia, news that the 32-year-old scion of a famous Russian family — in addition to her economist father, her great-grandfather Arkady Gaidar wrote a seminal Soviet children’s book — was taking an administrative job in Ukraine incensed the state-run news media. “I was surprised,” said Ms. Gaidar, who is best known for her work as a leading opposition activist in the burgeoning Moscow protest scene of the mid-2000s, alongside reformers like Alexei Navalny and Ilya Yashin. For Roman Dobrokhotov, the editor of The Insider Russia, a Moscow-based online investigative political newspaper, the answer is clear. For someone like Ms. Gaidar, who has hung from an icy Moscow bridge facing the Kremlin to protest election fraud, but would rather spend her time organizing and putting in effect concrete social policies, very few paths are available in Russia. “We understand there’s not really an opportunity here to participate in a real political life,” Mr. Dobrokhotov said. In emigrating, Ms. Gaidar joins a wave of Russian activists and former activists choosing to leave their country — though unlike her, many relocate to Western nations, where they generally have no political role to play. Back home, Russians are inundated with the message that a regime change in Ukraine has led to chaos. Still, many are watching what happens in Odessa, a place with which they share linguistic and historical ties. “People really wonder what can change after a revolution,” Mr. Dobrokhotov said. Describing Odessa as an “experimental field” for political reform, Mr. Saakashvili said that, among other things, his administration could serve as a training ground for future Russian leaders. That is certainly Ms. Gaidar’s hope, as well. Her interest in the political realm began a few years into Vladimir V. Putin’s first presidency, when she saw signs of emerging authoritarianism. At the time, she was working in advertising, and happy to have a steady job. But she decided she wanted to do something more. “Psychologically, Putin was so overwhelming, and no one spoke out against it,” she said. She began asking around and fell in with several young, reform-minded men and women, including Mr. Navalny. “The space of political activity at that time was very, very small,” she said. She and Mr. Navalny founded an opposition youth group, Democratic Alternative, also known as DA! One of several youth groups that popped up at the time, inspired by Ukraine’s 2004 Orange Revolution, DA! occasioned Ms. Gaidar’s first brush with the Kremlin. As the political debates the group sponsored in Moscow grew more popular, a Kremlin adviser contacted Ms. Gaidar. “He said, ‘You have such a great project, can we help?’ ” she said. For Ms. Gaidar, the lesson was clear. “Once people are independent, in this system they are not welcome,” she said. In 2009, she joined Mr. Navalny and a handful of activists in the depressed Russian region of Kirov, where Nikita Belykh, a fellow opposition activist, had been appointed governor. Ms. Gaidar stayed for more than two years, despite hostile, entrenched power structures and a shoestring budget. She returned to Moscow and, in recent years, focused her energies on social work. But then came the Ukraine conflict and Russia’s turn toward a bellicose nationalism. “If everything had been fine, I would be in Russia, working as a technocrat or as a politician,” she said. When Mr. Saakashvili offered her a job in Odessa, she quickly accepted. In Odessa, commentators have been critical of Ms. Gaidar, saying she lacks experience. “One approach is to wait and see,” wrote Volodymyr Dubovyk, a professor at Odessa I. I. Mechnikov National University, in an email. Nonetheless, she is charging ahead. Fielding calls from the deputy head of the police department, who wanted her to mediate with lesbian, gay, bisexual and transgender activists whose parade dates coincided with a soccer weekend, she stepped outside to take a look at the orphanage’s leaky-looking roof. Shaking her head, she described another project: building a glassed-in reception room staffed largely by volunteer lawyers and charity workers. This will replace the current system, in which administration guards put people who come in with problems like missed pension checks on a list for a meeting with Mr. Saakashvili that is not likely to ever happen. Right now, Ms. Gaidar is in the process of renouncing her Russian citizenship, as required by Ukrainian law. As she scanned the orphanage’s neglected grounds, she said the decision was hard to make. “It didn’t feel good,” she said.